Has this ever happened to you? Someone bursts into the room, marches up to you and sprays Raid, right in your face! You wipe off your face, enraged, and demand an explanation. “Oh no, you don’t understand. It’s perfume! I just mixed it together in the other room. It’s my fragrance, and I wanted to share it with you,” she says. Now, of course, this hasn’t happened to you (I hope! ), but surely, you have encountered a personality type that I call the “negative naysayer” and the effect of their presence is equally toxic. You don’t need an expert to assess the situation and report back to you. There are times when you just know what you know. It’s not perfume. It’s poison. …doesn’t mean you have to put up with bad behavior or carping criticism. Toxic people come in all packages. It’s a shame they don’t have a warning label, like pesticides do. Skull and cross bones on their shirt. Listen. I don’t need to tell you what you already know. If someone comes along and tries to rain on your parade, don’t just reach for an umbrella. Hit the “eject” button. 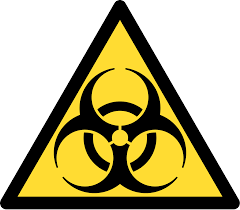 You don’t need a scientist in a lab coat or a trauma team to help you steer these biohazards out of your face. Just pivot. Don’t animate or activate them in your own vibration. It’s an inert pile of poison. Don’t give it life. Return to your own regularly scheduled programming: a “yes” life. A blessed life. Your best life. You don’t need permission to protect what’s precious, what’s right, what’s real. Nah. You got this. Why? Because you know what you know. Not surprisingly, this week has been pretty prayerful. Lori has already told you about my run-in with the media. Last Sunday, FOX news did a piece that included my upcoming book, Black Lives Matter. They didn’t talk to me or my co-author Duchess Harris. They didn’t see the book. But they had firm, strong, negative opinions. Various conservative media copied it from FOX. To those with hate-filled mouths, I have this to say — I hope Duchess’ mama doesn’t get ahold of you. Between lack of sleep and way too much stomach acid, it became obvious that I needed to do all in my power to chill out before I suffered physically. My prayer solution when angry and hurt when hate swirled around me? The prayer of St. Francis. Where there is hatred, let me sew love. God brought this opportunity to me and I believe that he brought Duchess into my life. I’m so sure that we’re already working on a second book together. In the meanwhile, I’ll write and pray. And for those of you who have never heard this amazing prayer sung, see below. I’m angry. Cartoon angry: steam is coming out of my ears. My face is a hue somewhere between “beet” and “red hot lava.” Though I’ve never used my fists in anger in my life, I feel as though I could break a stack of bricks, like one of those amazing karate videos you see on YouTube. Yeah, THAT angry. Why? Several reasons. My good friend (and fellow blogger) SueBE has written a book for young people (called “Black Lives Matter”) that is being denounced by people who have neither read it nor have any idea what it purports to say. Ignorant people. Close-minded people. The kind of people I have had it up to here (gestures) with. “It says the author writes historical nonfiction for children. So glad to see she’s branched out into fiction,” sniffs one commenter. The enormity of the wrong-headedness of this person (and her ilk) could blot out the sun. Throw in the recent deaths of a news reporter and camera man by yet another deranged guy with a gun (we seem to have an endless supply of them in this country), tragedies that ought to be met with renewed resolve to do something about the matter, but are instead already raising the hackles of the NRA-faithful in a deafening roar that somehow makes the words “second amendment” louder than “people bleeding to death on the sidewalk.” I get it. YOU didn’t kill anyone; that guy did. And that guy. Oh, and that other guy. And her. And them. And that person and that person and that person…. Seriously, am I the only one who sees a pattern here? I give myself permission to be angry. God made our emotions; there are no wrong ones. It’s what we do with them that matters. In a song by PIL, John Lydon (aka Johnny Rotten) sings, “Anger is an energy.” That’s the powerful side of anger, the side that gets things done. Instead of taking my anger out on hapless individuals (like that guy did), I prefer to channel it into something more constructive. I’m going to do everything I can to champion my friend and her work and the content of that work. I will continue to push for (and vote for) gun control. I will get angry when and where I need to in support of social justice for everybody, including those so blinded to their own privilege, they can’t even discern that this privilege does not extend to anyone beyond the reach of their own fingertips. And I am going to pray. Oh, Lord, I’m going to rent the heavens. God, make us all angry — angry enough to decide to stop hurting one another once and for all. Because a prayer like that demands energy. And if it has to come from anger, so be it. As I was roaming around the web today, I realized that the world is divided into two camps: those that LOL and those that don’t. Now, even though I’m generally an upbeat person, I’ve never for the life of me understood the ubiquitous use of the acronym, LOL. I’ve got to be honest. I’ve never LOLed a day in my life. Not once have I texted “LOL” to anyone, ever. I don’t SMH, and I don’t tell you what I think IMHO. If you ask me, TOBAL (There Ought To Be A Law) against the LOL! Of course, I’m just venting. These acronyms are perfectly harmless, even in good fun, really. They’re the Esperanto of the internet, and they really have become the parlance of the people. But sometimes it seems as if we’ve lost the ability to just be together as human beings. At a Broadway show last month, Patti LuPone stalked offstage, in character, and confiscated a cell phone from a woman who’d been texting throughout the entire show. Isn’t it possible to disconnect for a night at the theater? What do we think we’re going to miss? What’s better than LuPone on Broadway? Maybe she was texting Barbra Streisand! 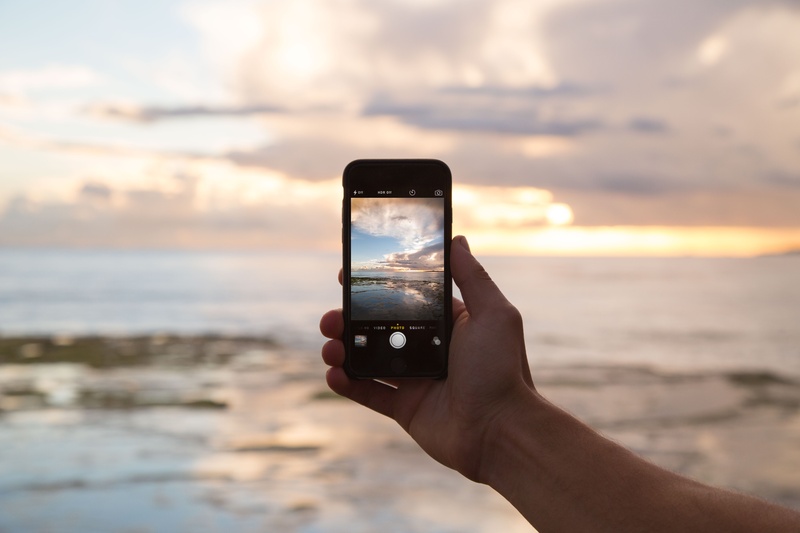 When you really think about it, we’re all ISO a genuine connection, and that’s why we’re so attached to our devices. NALOPKT, but TM, it’s true. So when we’re at a Broadway show, we think BWTM! It’s as if we have FOMO on something big happening somewhere else while we actually traipse around IRL. Listen, I don’t want to sound like a POTATO using all this net lingo, but SSEWBA and we won’t know how to talk F2F. BWTM = But Wait, There’s More! C4N = Ciao For Now! How Big (or Small) is Your Understanding of God? Sometimes it happens during worship service. As the music soars up into the rafters, I feel a shiver. God is here. But the truth is that I never know when or where I will come to realize that I’m not alone. The most memorable time it happened was when my husband and I visited Albuquerque. He wanted mountains, specifically Colorado. I wanted desert, namely my dad’s hometown Alpine, Texas. Instead we decided to visit someplace new to both of us that had both. Albuquerque. You may be up in the mountains but the space between them is vast. Several times we stopped at overlooks and just stared. Before us, stretched more land than we could imagine. Dark shadows flowed across the landscapes and I realized they were the shadows of clouds. Everything was so big and spread out so very far. It was impossible not to feel small, but that didn’t bother me because out in the quiet, openness, I could also feel the presence of God. This wasn’t the tiny image of God that we bring out each Christmas and lay in a manger beneath the tree, packing him away the rest of the year. This wasn’t the conveniently compressed version of God that some of us keep in our checkbooks, pulling him out when it is time to give to charity. This isn’t the slightly larger version that we can leave sitting in the pew until we return for him the following Sunday. The God of the desert stretched beyond the horizon from desert floor to mountaintop and beyond. This was the God of yucca and eagle and even us gazing across the wide openness. This wasn’t a God you could confine to convenient places and times. This was an all-seeing, all-knowing force. In all truth, I can see why so many people choose a smaller version. 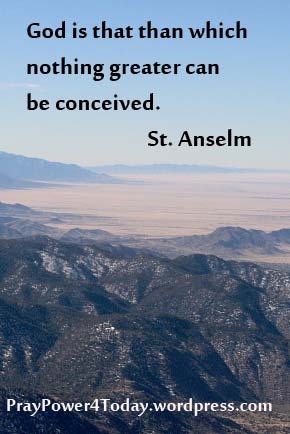 It is much easier to wrap your mind around that conveniently compartmentalized God than the version described by Anselm as that than nothing greater than which can be conceived. Even now, I know I didn’t see God. There’s no way I could comprehend all that He is. But that’s okay. I occasionally catch a glimpse of something vast and unknowable. I read an article recently that recounted the shared qualities of people who are classified as geniuses. I was heartened by a few (they are voracious readers, for instance) and crestfallen at one in particular: Most geniuses count themselves as atheists. This “bums me out” (to use the vernacular) not only because I find the statistic sad, but because one would think a bona fide genius would have more imagination than that. The human brain is a marvelous thing. To be able to conceptualize great theories of science and mathematics while being simultaneously unable to conceptualize an all-loving, all-merciful God? That seems…limited. And geniuses aren’t limited people, by and large. Also, let’s face it: “Most” does not mean “all.” There are plenty of intellectual giants who proudly touted their belief in God — Soren Kierkegaard, St. Augustine, Shakespeare, Vivaldi and Voltaire, to name a few. There are theologians who are geniuses, as well as scientists, writers, artists and humanitarians. The combination of intellectual and spiritual genius may be rare, but — like the most precious of endangered species — they do exist. Thomas Merton — a genius if there ever was one — posited that many atheists don’t reject God out of ignorance or rejection of goodness, but because no human definition of God has ever measured up to their conceptions. All human explanations fall short. They make God limited, small, vituperative, vengeful, judgmental. The response of many thinking people is, “Well, if that’s what God is, there cannot be a God.” It isn’t God they reject; it is small picture they’ve been handed of God by those who claim to believe. Merton, himself once an atheist, was dumbfounded to discover that not only is every description, metaphor and analysis of God that human beings can make necessarily too small, but that we are called by God to eschew all of these descriptors and keep looking for something bigger. 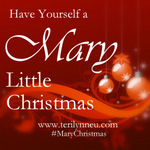 We must never rest on our laurels, never think that we have God pinned down. We don’t and we can’t. It is up to fools like me (and you) to continue to push the limits of what God is, to discover God in deeper ways and through our intimacy, express larger pictures of God to others. In other words, if you reject the idea of God because of what you’ve heard about God, congratulations. You’re right. Everyone else is wrong. Oh, there might be a kernel of truth to be had here and there, but mostly, we shrink God down to human size in order to comprehend God, and God can’t be confined that way. So, if you call yourself an unbeliever, I urge you to use your imagination. Make God big enough to believe in. Surely, that’s doable — especially for a genius. 1I will praise the Lord no matter what happens. I will constantly speak of his glories and grace. 2 I will boast of all his kindness to me. Let all who are discouraged take heart. 3 Let us praise the Lord together and exalt his name. Once, during “Sunroom Time,” one of my son’s friends plopped down on the couch and started flailing a long, sharp stick around. “Honey, put that down. You might hit your brother by mistake,” I said. Problem was, as someone with ADHD, he really wasn’t able to stop. His brother, sitting next to him, grabbed his hand and held it down. Even while restrained, the stick was madly moving around, making “whooshing” sounds. “Wait, let him go,” I told his brother. “He’s not being heard. He’s speaking through the stick.” For some reason, it seemed that his body was telling him it was urgent to do this, and that he must not stop. I told him to aim it away from the others, which he did. Eventually, the flailing subsided and he was able to calm down. Communication comes in many different forms. Earlier this year, my cat woke up one day unable to “meow.” He’d open his mouth and no sound would come out. His furry face looked so sad. After a visit to the vet, his voice was restored. That night, at 3 AM, when KitKat “meowed” to wake me up so we could play the Stealth NinjaCat Game (barrel roll into bathtub, dash down hall, slide under rocking chair and zoom up onto bed), I wondered if I’d made the right decision to give him back his voice! People also speak without words. Waking my son in the morning, I am greeted with a fair dose of “side-eye,” as if his body is communicating: This is madness! You’re trying to wake me up?!? It’s summer, for Pete’s sake! Have you lost your mind, woman? This picture of Warren Harding’s mistress and their “love child” says more than the entire article. I can only imagine she had a hard life and never really felt the “love” as a child. Sometimes words can say too much. This neighbors’ dispute over barking dogs lead to an obnoxious sign. I was amazed to read that the couple hoped that writing disparaging remarks on a posted sign would make their neighbor apologize – even though he appears to have done nothing wrong. That sign doesn’t communicate, it exacerbates. Often, words are merely ill-chosen. When I read this headline on Yahoo News, I was certain that an announcer had been shot during a football game, but it was just a very poor choice of words. It seems like the Tower of Babel in the world today, with everyone talking a different language, and many with forked tongue. Not everyone has the best intentions when they speak, but here are some words you can count on: God said it. We believe it. That settles it! 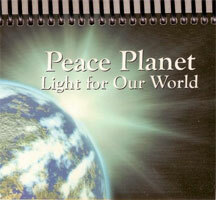 Recently I sat down with my favorite prayer book, Peace Planet, Light for Our World. It isn’t a new book. Nan Merrill and Barbara Taylor wrote this call for peaceful prayer following 9/11. But these aren’t just prayers about peace. They are prayers for peace for each country in our world, starting with Afghanistan and ending with Zimbabwe. Is this a prayer for Christianity to overtake Islam? For women to quit wearing the veil? No. It is a respectful prayer for peace. In part, this appeasl to me because I think we will win a lot more people through respect than we will ever bring over with intolerance. Recently, a Presbyterian missionary came to our church and told us about the work being done in Egypt. The Presbyterians have actually been invited to build within Egypt. They have been invited because they don’t come in and tell the people what they need. They have a reputation for moderation. They come in and ask what a community needs, listen to the answers, and address those needs. They work to improve lives, but they work from within the community. And people are coming to them in faith because they feel the respect. They feel the love. They don’t feel judgement. Peace. Education. Nutrition. Shelter. Imagine what we could accomplish working together from a place of respect, moderation, and God’s love-filled peace. From the time we were babies, my mother read to us. Not just children’s stories, either. She read poetry: Poe, Wordsworth, Eugene Field. My favorite of all was “The Highwayman” by Alfred Noyes. It is a poem about a dashing criminal and his ladylove, who, in order to warn him that the Redcoats are waiting for him, kills herself. Despite the warning, he is gunned down “like a dog on the highway/ with a bunch of lace at his throat.” Not exactly Dr. Seuss. Still, I loved it. Part of that love came from my mother’s analysis and explanation of rhythm, rhyme and meter. “Listen to the way the words sound,” she said. “It sounds like a horse galloping down a road.” I listened. I heard it. My whole world changed. From these early experiences bloomed a love of language. I’m fascinated by what words can do. Onomatopoeia thrills me. I dig a good palindrome. Anagrams are amazing. I consider language a gift from God. In communication, we are brought together. Imagine a world where each one of us were bound in his or her own metaphoric prison, unable to communicate our feelings or experiences! How lonely we would be! So, in the spirit of Gerard Manley Hopkins’ “Pied Beauty,” I offer this paean to the world of words. Blessed be to God for the look of letters! The curve of the “s,” the slick feel on the tongue. The piquancy of “p,” the feel of “r” as it resonates, roars. When I first started out as a Freelance Writer, I carefully kept track of my submissions on WritersMarket.com. I kept all of my folders organized and kept a steady stream of queries in the mailbox with the little flag up. As responses came in, I’d be sure to make a notation on the tracker – accepted, rejected, follow-up, date submitted, date accepted, name of agent. All of these things were done right, but there was one thing that I look back on and realize was done wrong. Really, really wrong. I held onto all of my rejection letters. For a good year or two, I’d put all of my “thanks, but no thanks” letters from agents and publishers into an old briefcase that I stored in my closet. So, every day, as I got ready for my office job in the morning and went to the closet to get my clothes, I’d look down and see that bag of rejection. My heart would sink. Still have the day job. Still not a best-selling author. Still not where I want to be. It took me a while, but eventually I realized that I had to ditch the bag if I wanted to get anywhere as a writer. It was poisoning my soul to see that bag at the start of every day. As long as I kept track of submissions online, there was no earthly reason to keep rejection letters indefinitely. So they didn’t like that piece. I would try a different agency at another time. I’d define my niche and study the market until I knew where to send the next submission. Sometimes rejection can seep into your psyche without your realizing it. The best way to keep making progress toward your goal is to replace those three little negative words with ones that shore you up and restore your soul. And take your mind off of the things that bring you down by doing things that bring you up. 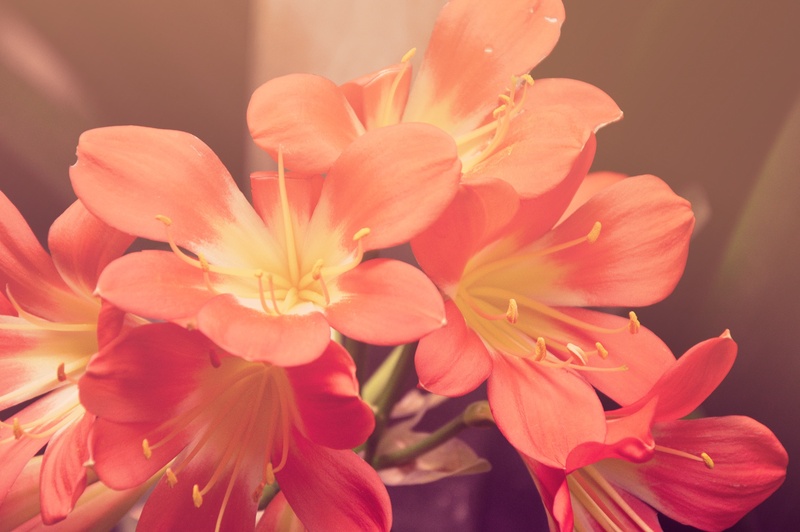 Look at flowers. Pat the cat. Hug your kids. Just three words, but they really pack a punch. And remember: God is good. All the time.